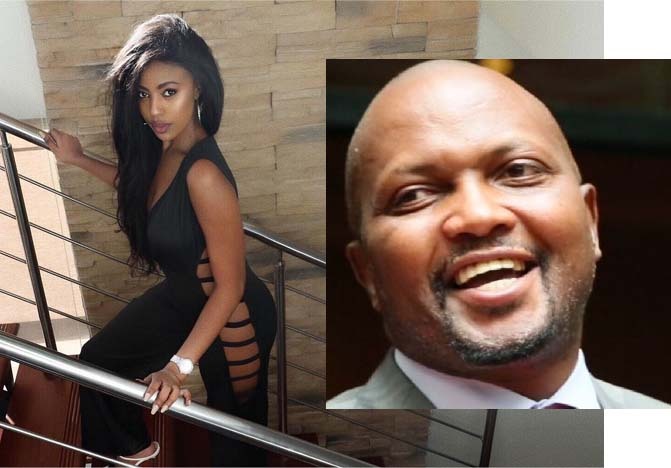 Charity Mwangi, Miss Kenya 2015 has revealed that she is not dating controversial MP Moses Kuria. She has come out to clear the air that her relationship with Gatundu South MP is purely professional and that they are not lovers. She has further said that, the two have only met twice and there are no strings attached. Charity met Kuria for the second time, when he was supporting her foundation. She confirmed to that Moses among other notable personalities and corporates have offered financial support for her foundation. And she does not take it lightly when people spread rumors about Moses. “It’s very bad for people to spread lies and rumours,” Mwangi said.